Today was the last day the lifts will be open for the 2018-19 ski season. The piste conditions were excellent and temperatures below zero. 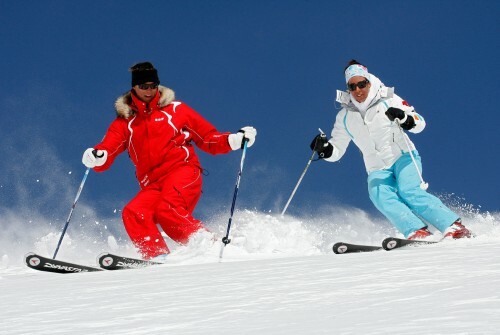 A great time to chose for a ski holiday. With just one week to go before the end of the ski season, we have around 30 cm snow over the last 48 hours, today there are blue Skys and conditions are excellent. 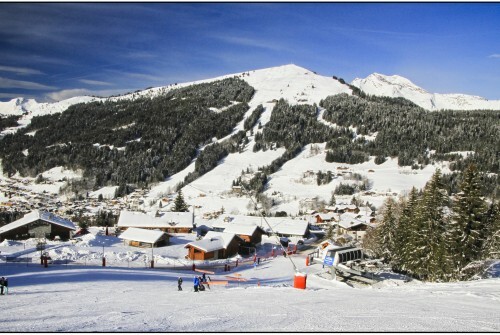 All pictures taken this morning around Les Gets. Two or three concerts a day over 10 days - in Les Gets. 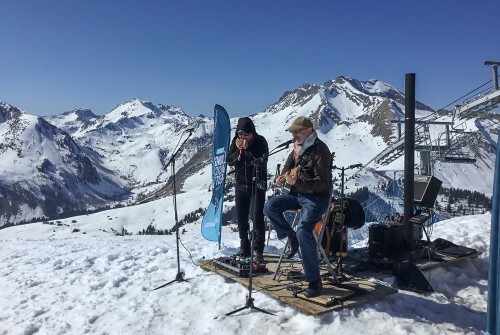 Most concerts are free, some are on the piste, some in the village centre, some in bars and restaurants in the evening. An amazing time of music through the whole village. 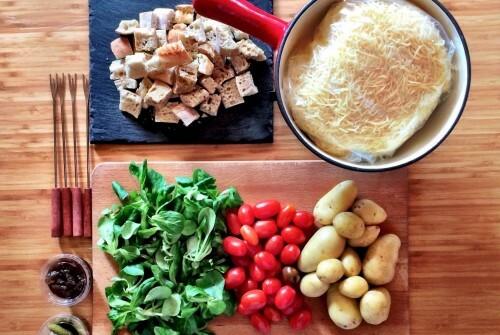 Fondu and Raclette are two famous savoyard meals that you should try during your ski holidays. 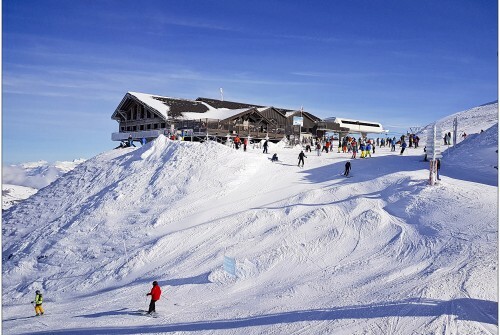 The Cookie Café is at the Pointe de Mossette, which makes it the highest restaurant in the Portes du Soleil at 2227m. It is also on the border between France and Switzerland, from where you can ski into both countries. A new blue run was built during the summer, it starts from close to the top of the Nauchets lift, going down near to the school/lake. This is a beautiful blue run, with rollers. 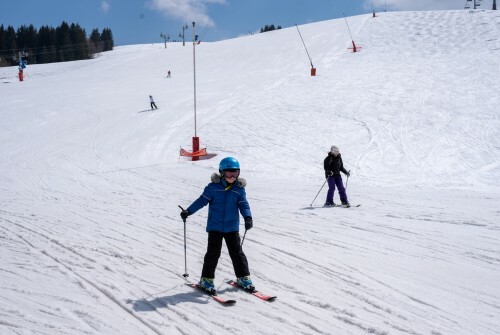 Two fo one offer on a 'bundle' ofL ski pass, equipment hire and lessons for either two adult beginners or one adult and one child beginner. 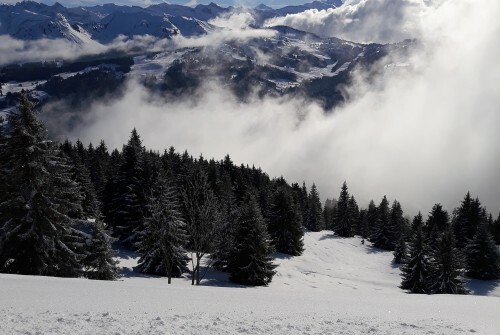 Many don't think of Les Gets as an area for off piste skiing, those who live in Les Gets like to keep quiet about this, to keep these areas quiet at busy times like February, Xmas and New Year! 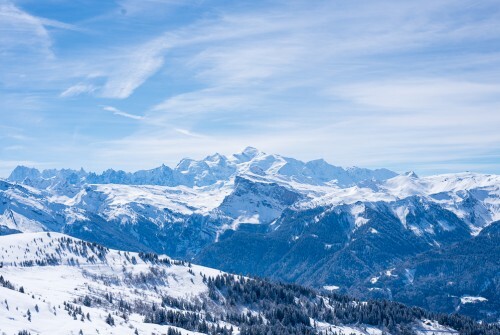 This article describes some great areas for off piste skiing/boarding on Mont Chery. Incredible Skiing Conditions This week. Conditions are outstanding at the moment, the first four pictures in this blog were taken this morning, the last was taken on Tuesday 15th January. No better time than now to enjoy the fresh snow on Mont Chery. 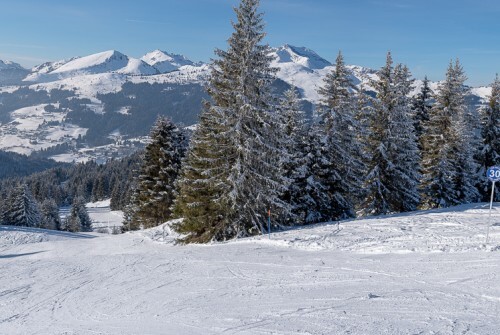 It is well known by locals and regular visitors as one of the best areas in the Porte du Soleil - It’s quieter, never has any queues, offers terrific on and off piste skiing with stunning views of the surrounding mountains. Although the lifts are older and slower, you still get more skiing as there is no time lost queuing. 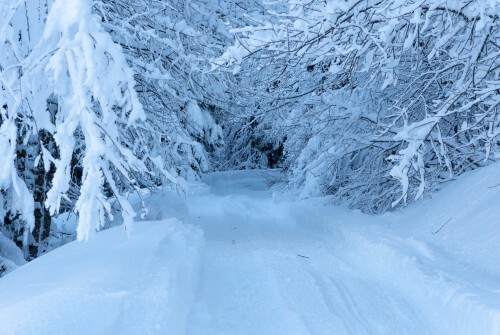 You also get a real sense of nostalgia – you can’t fail to enjoy a wonderful experience there on a sunny day in fresh snow. 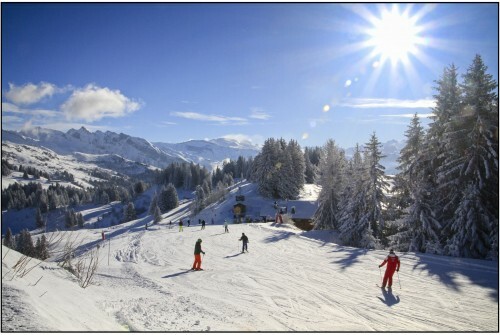 Spectacular fresh powder, sunshine and uncrowded pistes in Les Gets - Come and join us! 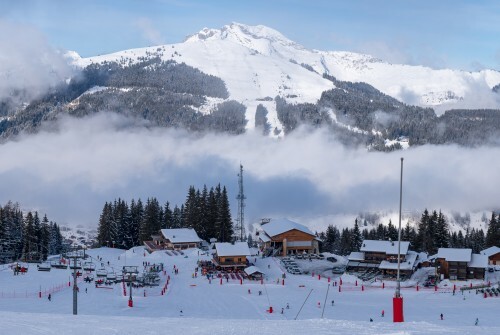 Les Gets has fresh snow from the last two days and there is more to come at the weekend. The conditions are perfect for all snowboarders, skiers and all forms of mountain pursuits. Everywhere looks so picturesque with snow covered trees and chalets.